In a market saturated with costly enterprise-level wireless management platforms that come with recurring subscription or licensing costs (yes, that includes cloud services like Dropbox (pro account), EnGenius brings a breath of fresh air in that they combine an enterprise-class wireless controller and Layer 2 Managed switched and PoE (Power over Ethernet) as power source for up to several indoor and outdoor managed wireless access points. 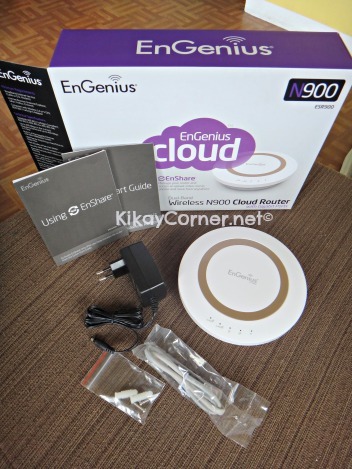 EnGenius Cloud Router I got to have first dibs on. Wireless N900 with Gigabit Ports, dual-band, no less! 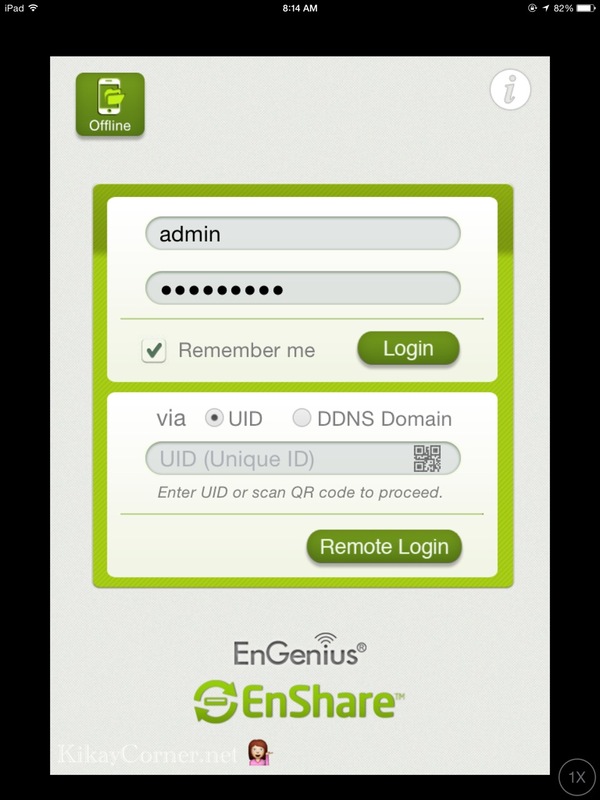 And I haven’t even started with the EnGenius Cloud Service that features the EnViewer, EnTalk Lite, EnShare and EnRoute apps. These features enable users to connect to their media and files from anywhere, stay synced with friends and family members around. I super love how this single-handedly resolve my issues of limited cloud storage of free online ones like Dropbox. Sure, I’ve expanded my limit when friends sign up via my Dropbox link but that’s still not enough. It’s like having my own private cloud network available for me to access wherever I am! It’s literally a freelancer’s dream come true. And unlike other cloud services that would have you perpetually pay for their subscriptions, there is no catch, it is free for lifetime access to your very own cloud service whenever you want. I have been enjoying these features for a whole week now and I don’t know how I survived without it all these years. Seriously! Having access to my files wherever I am is no longer an impossible thing. No more troubling myself to transfer needed files to to an online cloud storage, then erase them later to free up space. So convenient! Dual Band Wi-Fi Connectivity – The N900 Cloud Router, also known as ESR900, has two frequency bands available – the 2.4Ghz and the 5 Ghz. My Apple devices are able to connect to either of the channels without hitch. With both ISPs that we are subscribed to, not being so reliable, we are able to make a work around and make things a little more convenient than before. Both my Macbook and iPad are logged on to the other band while the rest of the devices at home logs in via the other. By doing this we distribute the internet connection traffic into two channels making the connection more efficient. 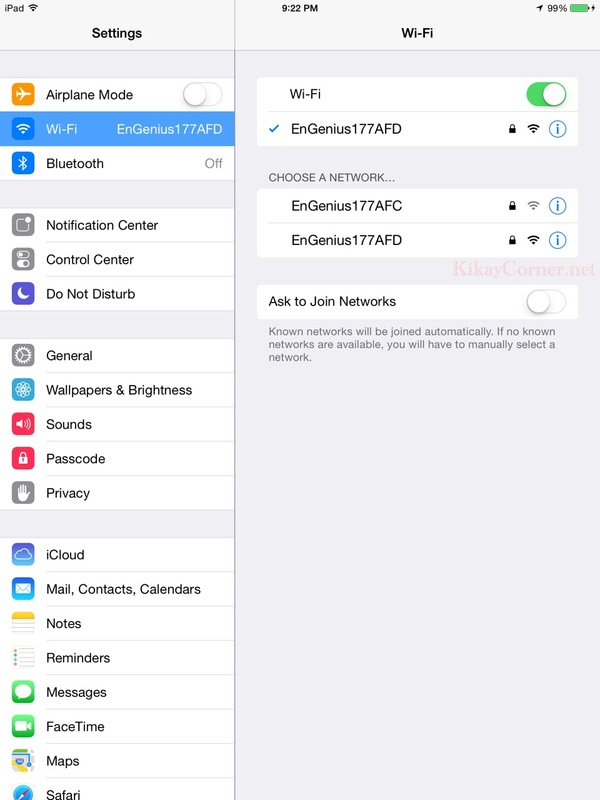 Setting up the EnGenius Router was easy and logging on to EnShare to access my 1TB hard drive was just a click away via the App Store. I login via the upper portion and enter my credentials when I’m home and login to the lower portion for remote login. 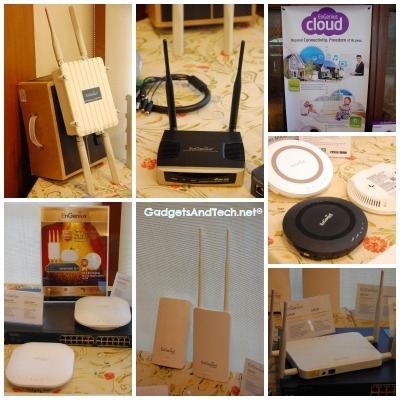 You just need to make sure that the Cloud Router is connected to the external hard drive and you connect to computers virtually. I was so thrilled when I was first able to access my hard drive from my iPad! It’s so neat that I am able to remotely access my files from wherever I am. Yes, I just can’t say that enough! Love it! I can only imagine fellow bloggers (even fellow freelancers) having the same high when they get to do things this limitless. 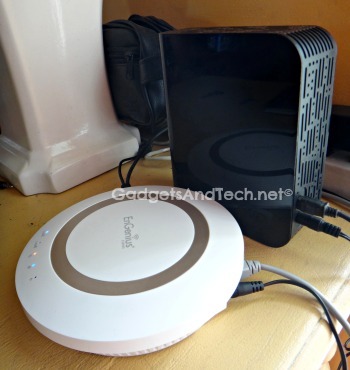 I have yet to maximize the vast features of EnGenius and will further update and let you in on my thoughts via GadgetsAndTech.net. Here’s looking forward to EnGenius’ upcoming CCTV camera this coming September – Consumer Network Camera. I sure hope it’s better than the Baby Vision we tried last year.